You’ve got questions. Who doesn’t? It’s Shakespeare! Luckily, we’ve got answers. If you’ve landed on this page chances are you got here following a question that you googled, and the answer is no longer available. That is because in early 2017 I folded the shakespeareanswers.com domain into my main shakespearegeek.com property, and have not yet managed to recreate all the questions. For that, I apologize. Please don’t hesitate to try the search bar over there, you might still find your answer! I am recreating the original questions over time, but can’t promise that the specific one you came looking for will appear anytime soon. Why Did Iago Leave Roderigo At Brabantio’s House? The Shakespeare Answers category is here to answer questions people may have about Shakespeare’s work. If you’re just looking for the homework answers then you’ll find them here. I don’t love that, but I look at it this way. First, I can’t stop you, and if you didn’t find the answer here you’ll easily find it elsewhere. Second, by answering the question here maybe I can convince you that Shakespeare is interesting and worth learning more about. Like so many of Shakespeare’s plays, we don’t actually see the title figure in the first scene. Othello opens with Iago and Roderigo standing outside the window of Brabantio, a Venetian senator, and father to Desdemona. Roderigo lusts after Desdemona, and Iago knows this. Desdemona has run off with Othello, and Iago knows this. Iago does not like Othello, to put it mildly. Brabantio will not be happy to discover that his daughter as run off with Othello, and Iago knows this. Iago’s manipulation drives everything in this play. He wants to get Othello in trouble, possibly to the point of having his command stripped, and sees an opportunity to use Roderigo as a puppet in making that happen. …your daughter and the Moor are now making the beast with two backs. But, here’s the thing. When Brabantio asks for their names, the only one to answer is Roderigo. Iago’s not stupid. Roderigo still thinks that the plan is some version of “we’re going to get Othello in trouble by telling on him,” not fully appreciating the level of psychological manipulation going on. Which translates as, “It’s not a good idea for people to see me here, speaking out against my boss.” Which is true. You can’t play the puppet master once people realize that you’re the one pulling the strings, and then realize that you’ve got strings attached to them as well. Does that make him a coward? Hurling insults behind the mask of anonymity and then fleeing into the night? That would suggest that Iago feels some degree of remorse or shame for his actions, which is hardly accurate. The scene does a great job of setting up both characters. Roderigo is easily manipulated here and will be again. I never know what to say when I see questions like this in my logs. But then I think of it like this – if I invited my coworkers to see Hamlet, and during intermission one of them asked me, “I’m confused, which one is Ophelia’s brother?” I’m not going to point and laugh and say, “How dumb are you? It’s right there on the page!” Instead I’m going to appreciate that this person is engaged enough to be here in the first place and is trying to follow along, but sometimes it’s not that easy. Typical big brother stuff – you think Hamlet’s into you, but he’s really not, so don’t let him break your heart. This is typical of all the men in Ophelia’s life, they tell her what to do. What Hamlet does not know is that Laertes and Claudius have concocted a plan to let Laertes have his revenge, by poisoning Hamlet. This plan either works perfectly or horribly depending on whether you see the glass half full or empty, because at the end of it Hamlet does end up dead. But so do Claudius and Laertes. With his last breath, Laertes asks Hamlet’s forgiveness for betraying him. Why Does Hamlet Hesitate to Kill Claudius? 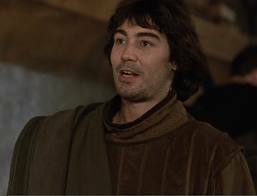 So the short and easy answer is, Hamlet tells us – by killing Claudius at prayer, his soul is clean, and therefore he’d go to heaven. This is not a luxury granted to Hamlet’s father, however, which is why he now roams the earth as a ghost. Hamlet doesn’t feel that this is an even exchange. At least point has a certain rationale, however. In Amleth, the source material for Hamlet, the hero believes that his life is in danger and decides to pretend that he is an imbecile so that he will not be perceived as a threat to the new king. 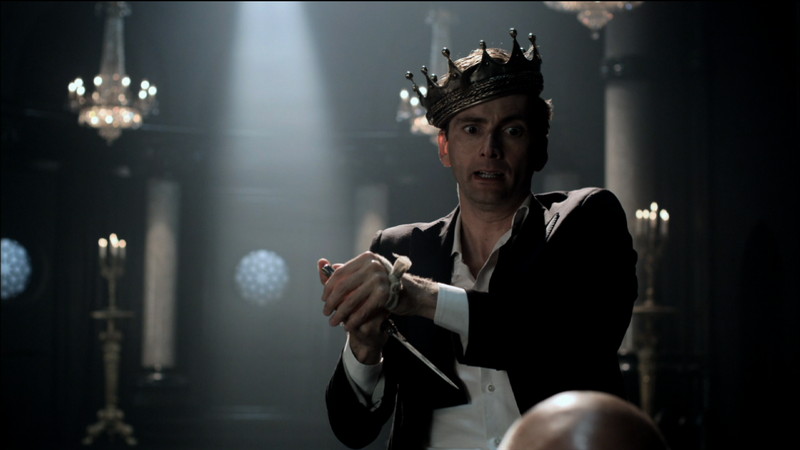 In Shakespeare’s version, however, that connection is lost — there’s no reason early in the play to think that Claudius is playing to kill Hamlet. So it ends up looking like Hamlet’s just coming up with reasons to delay action. Personally I’ve always held that it is his mother’s death, not his father’s, that ultimately spurs him into action. The entire play passes without him avenging his father, but it takes just 20 lines of dialogue between his mother’s death (“The drink! I am poison’d.”) and Hamlet’s action (“Follow my mother!”) There are those that argue that he finally sees his own mortality and knows, from Laertes, that he too has been poisoned and if he does not act now he will never have the chance. But I’ve always felt that “Follow my mother” line is a big deal – it’s not as if he mentions his father. Question: Why is Egeus angry with his daughter Hermia? A Midsummer Night’s Dream opens with Theseus, Duke of Athens, planning his wedding to Hippolyta. Shakespeare actually lifted this part of the story straight out of Greek mythology, if you’re interested. But that doesn’t answer the question. Yes, this comedy opens up with a father threatening to kill his daughter. The longer version goes a little something like this (but ends the same way): Lysander is the boy that Hermia actually wants to marry, but Egeus doesn’t blame her, he blames Lysander. Lysander has “bewitched” his child by showering her with gifts, singing love songs at her window, that sort of thing. Otherwise she would know better than to disobey the will of her father. Egeus isn’t the kind of father who is going to negotiate with his child. In the old days if you were a teenage boy acting up, your parents my threaten to enlist you in the army. I only had a brother so I’m not sure what parents threatened teenage girls with, putting them in a nunnery? Egeus knows the law, however, and goes straight to “dispose of her” if she doesn’t do what he wants. The good news is that Theseus has a calmer head on his shoulders, and after listening to Hermia’s side of the story offers her another alternative — a nunnery. But luckily this is a comedy and everything works out in the end, everybody marries the right person, nobody ends up dead or locked away. Having been around for a dozen years at this point, the site attracts a good deal of traffic on the subject of Shakespeare. Much of it comes in the form of questions about the plays. Is this students looking for answers to their homework? Probably. But if they’re going to get the answers anyway I’d rather have them get the answer here, along with an explanation, in the hopes that we can make them interested in the topic. Is Caliban human? The question comes through on my logs every now and then so we must have touched on the subject at some point. I think that perhaps students are looking for help with their homework and just want a yes or no answer and maybe a citation, but I think it’s more complicated than that. The very first description we have for Caliban is “not honored with a human shape.” Does that mean not human? EDIT: November 1, 2017. As the commenter rightly points out, that’s a misinterpretation of the passage. It is the island that would be “without human shape” if it were not for Caliban, i.e. he was alone on the island. Normally we would say, “Is Caliban human? Of course Caliban is human. He’s got a mind and free will of his own and can communicate. He loves his mother Sycorax and worships her god, Setebos.” By our modern biological standards, it’s a no-brainer. There’s no creature other than humans that can do any of that. But this is also a play with magic and fairies, witches and devils. So maybe our modern definitions don’t apply? We’re told that Sycorax is a witch, and that she was banished here. Prospero goes one step more, telling Caliban that he is the offspring of his mother mating with the devil himself. By modern standards, and by that I mean post Salem witch trials, we could interpret this to mean “Single woman gets pregnant, gets on the wrong side of a conservative society’s rules, and gets kicked out.” By that logic Caliban is human. A little wild, maybe, from growing up outside civilization (and civilized medicine), but basically human. Personally I like this interpretation because it keeps the play universal. Tell me what Caliban is like as a character because he’s human, and therefore at some level he is like all of us. If he’s not human, I can’t really learn anything from his plight because everything’s different. If he is, I can feel sympathy for him. Did Shakespeare believe in witches? It’s not known for certain, but it was certainly typical of the time. Whether the audience believes in witches or not, however, we have to suspend that belief because this play takes place in a universe where magic exists. Prospero rescued Ariel from a tree, after he was imprisoned there Sycorax. So Sycorax did have powers (like Prospero), and therefore was an actual witch, so is it really that far fetched that she was impregnated by a devil? And if that is the case in this universe, what exactly does that make Caliban? Because “appearing human” would probably be closer than “actually human”. If that’s the case then the play isn’t nearly the same to me. I have no sympathy for Caliban if he’s just a walking, talking animal. So, is Caliban human? I prefer to see it that way, but I think that Shakespeare probably didn’t. What does everybody else think?